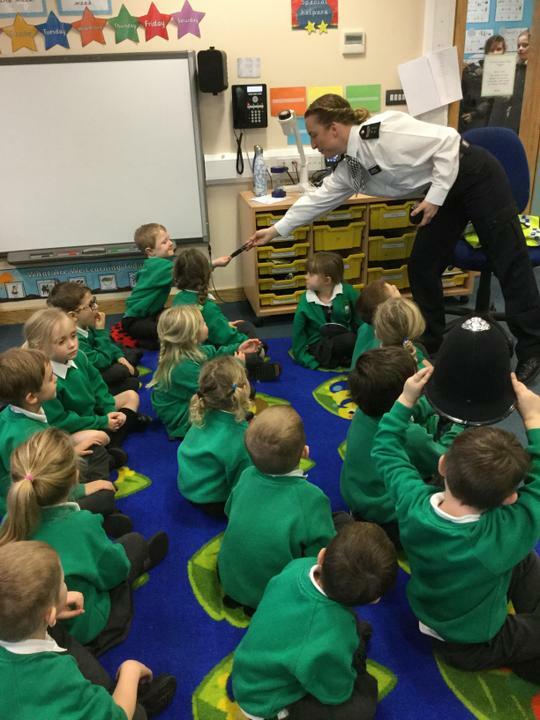 Welcome to Acorn - Reception Class! 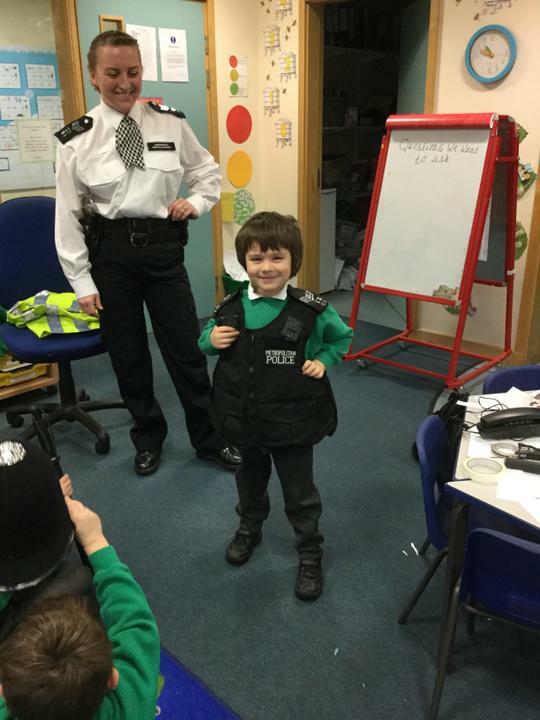 This year in Acorn Class, we have been very busy with lots of exciting activities. Here's a bit of what we have been doing. Acorn class were fascinated by the building works today as the builders filled in a very deep hole next to our classroom window at the end of the school day. The children were very sweet, giving thumbs up to the builders and chatting to each other about the exciting changes happening at our school. Acorn and Cherry class have been reading Roald Dahl's story George's Marvellous Medicine during guided reading. In response, we decided to create our own medicines that would create a happy school. We discussed our Christian values and our British values and chose some important ingredients to include. The children chose the ingredients they felt were the most important to them, to create their own unique medicine. Of course we did not taste our medicines, but we did smell them (yuck!). 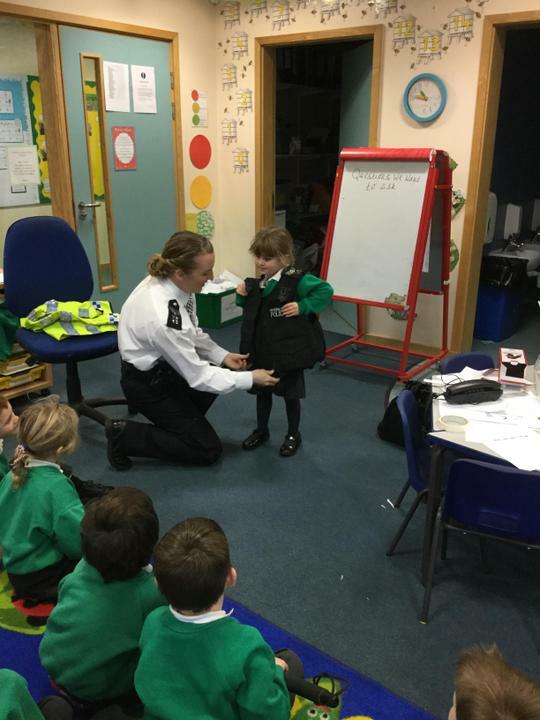 Recently the children were very lucky to be able to welcome a Police Sergeant into our classroom to teach us all about how police officers help us. 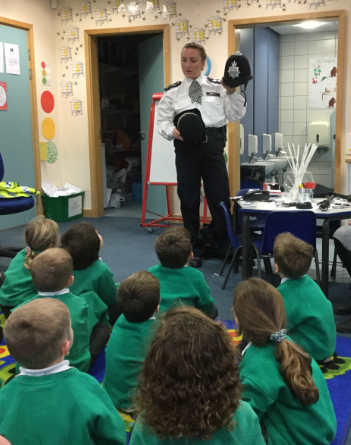 The children had the chance to ask lots of questions about the role of the police, and even got to try on some of the uniform! This real-life experience has inspired the children to write a set of important rules for our school. Another exciting event, was our recent Skype call from a local doctor: Dr Brown. 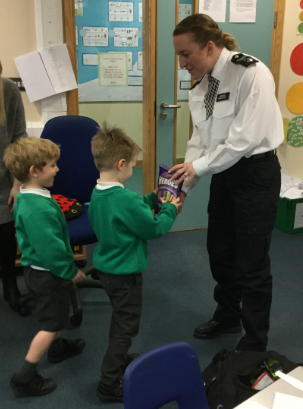 He answered all of the children's questions, including: "Why do you help criminals to get better?" which led to a great debate! Dr Brown told us a lot about broken bones and he showed us some of the equipment he uses during a check up.